The next day, among the mess of all the dripping dye and melted ice, will be your masterpieces. Look at these amazing colors and patterns! 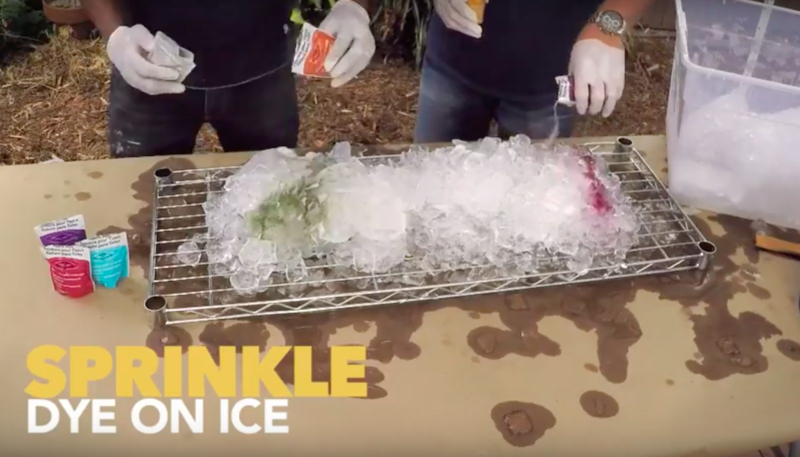 The ice and the dye do all the work so you barely have to get your hands dirty that results are incredible. It’s hard to imagine that the melting ice created all these cool markings but the proof is in the pic! 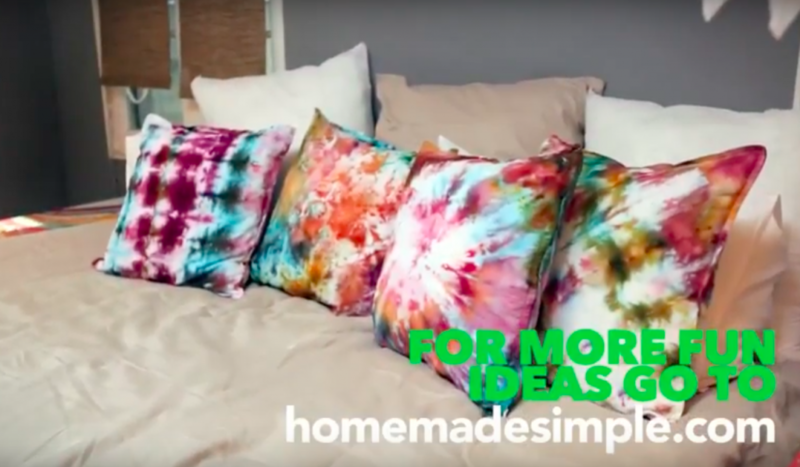 THIS TIE-DYE DIY HAS ME SO JEALOUS! I NEED NEED NEED THIS IN MY LIFE AND RIGHT AWAY! Do you have an unconventional way to use dye? Please tell us about it…we want to know!